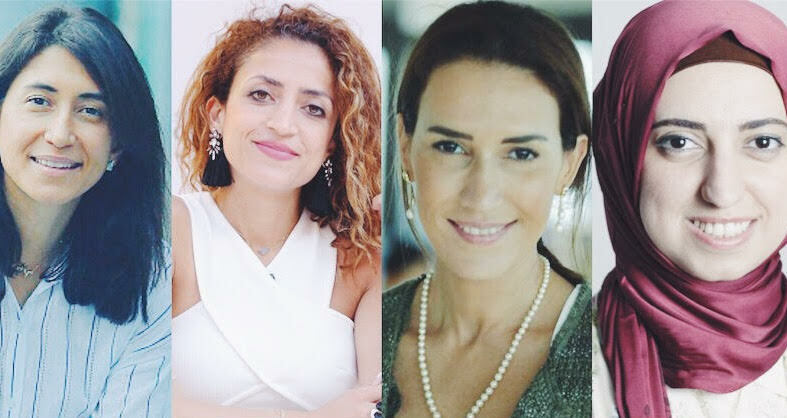 From e-commerce pioneers to scientific innovators, we speak to 8 successful Jordanian female entrepreneurs who have overcome countless obstacles to build gamechanging businesses. According to the World Bank, the participation of women in the labour force in Jordan is only 22 percent, versus 87 percent for men. Jordanian culture, similar to many cultures across the Middle East, doesn't necessarily encourage or facilitate married women participating in the labour force due to household chores and the belief that it’s the man’s sole duty to provide for the house, kids, and the housewife. But even those who are young, educated, and eager to join the labour force face high levels of unemployment due to gender-related bias. These women are e-commerce pioneers, hotel tycoons, and digital media entrepreneurs who defied the status quo, and not only participated in the labour force, but started their own businesses. 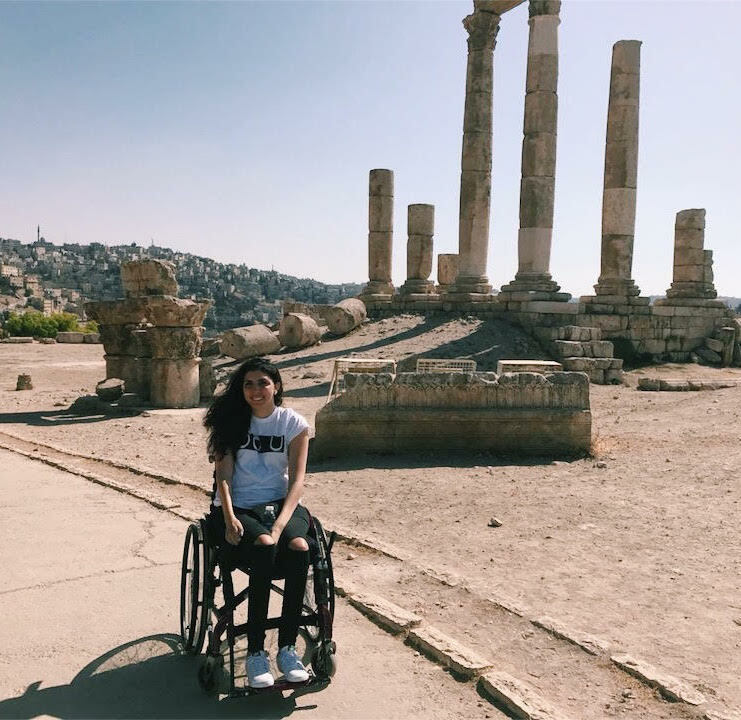 From an Arabic social network for bibliophiles, to educational scientific programs for schools, these Jordanian female entrepreneurs have set off to disrupt their country's entrepreneurial environment. Having graduated from the New York Film Academy in 2014, Al-Ashy started a business inspired by both film and technology. The entrepreneur is the woman behind A Minute Marvel, a startup that features success stories in one-minute videos. "We feature people who found their passion and made it happen, in a minute," El-Ashy explains. "We highlight the underground heroes, to give them the right exposure, so people can get to know about them, their work, and inspiration. Also it's a platform that acts as an inspiration for others to start following their passion." 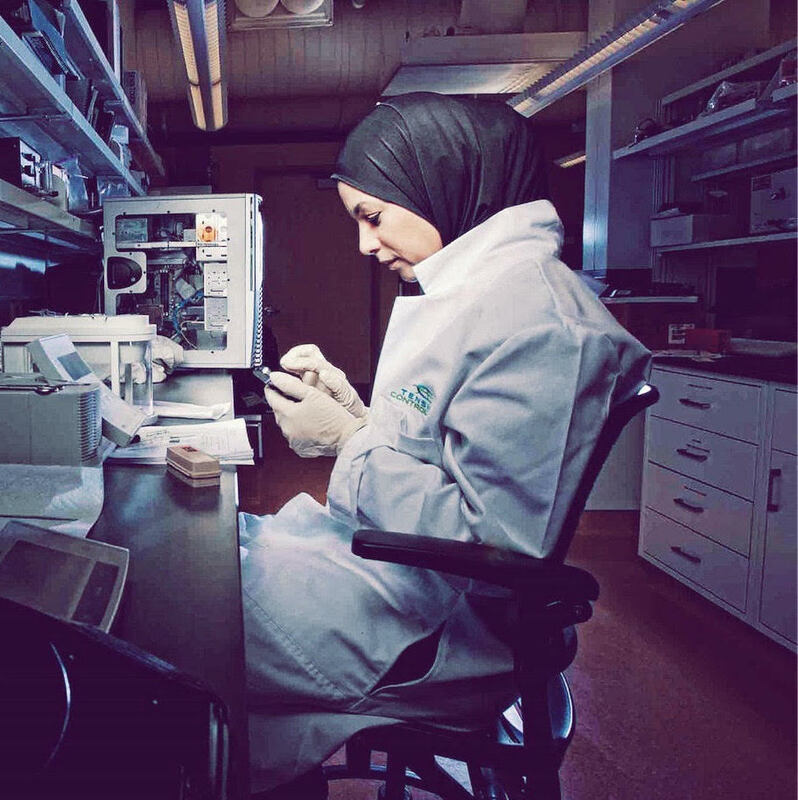 El-Ashy is not a techie, but she believes in using technology in making a better world. "We believe technology is here to make life better for people, especially in social work and projects that have a social impact," she says. Nour Al Hassan is the founder of Tarjama, a translation company born in 2008 in Dubai, which has translated over 150 million words in 30 languages across organizations and companies all over the world. The founder pledged to train 300 Saudi women by the end of 2018, enhancing their skills so they can have better job opportunities. ...they have translated over 150 million words in 30 languages across organizations and companies all over the world. "Tarjama was established in 2008, in Jordan, due to the lack of quality translation, and the need for a massive amount of content to be translated, so I decided to start a small agency, with some women working from home," Hassan tells Scene Arabia. "Today, Tajama is a company of 73 full time employees, 90 percent of whom are women. We do content creation and translation and we operate in 8 countries." The company also offers flexible timings and the option to work from home, appealing to many educated stay-at-home moms. "The supply side was very interesting for me; it was an eye opener, because I had no idea all these highly educated, bilingual women in Jordan and across the region were staying home, without jobs," she says. Al Hassan also recently founded an online platform, Ureed, designed to increase the global economic impact of women’s contribution by serving as a marketplace for all Arab translators, editors, and interpreters in Jordan. Chosen as one of Forbes' 200 most powerful Arab women, Mary Nazzal became the chairman of Landmark Amman Hotel in 2009, after journeying in almost every department in the hotel, which is one of the most luxurious in Amman. "The hotel business is something that I inherited. My family historically were pioneers in the hotel industry," Nazzal says. Just when her story might sound like a typical rich Arab's, what made Nazzal's story make global headlines is that she "totally changed the game," as she puts it. "I made it a local company, a local brand," she says. "We had always had an international hospitality brand manage our properties such as Radisson or Holiday Inn, what I decided was why don't we create our own local hospitality brand; and that's what I did. And because of my background as a human rights slash political social justice activist, what I've done is have social impact be an integral part for our operation. So we're certainly very different than any other hotel chain." ...what I've done is have social impact be an integral part for our operation. So we're certainly very different than any other hotel chain. 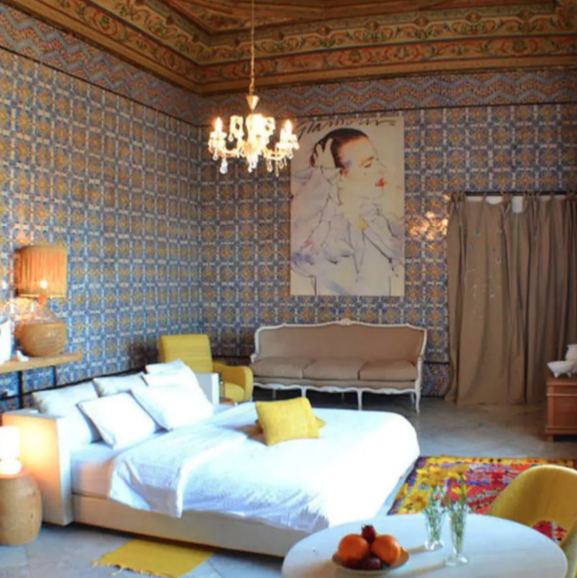 As someone who believes in the local movement, Nazzal sees Landmark Amman Hotel as a platform to address societal issues. "Within that framework I do a lot on gender diversity issues, gender empowerment, making the hotel a family-friendly environment," she says. 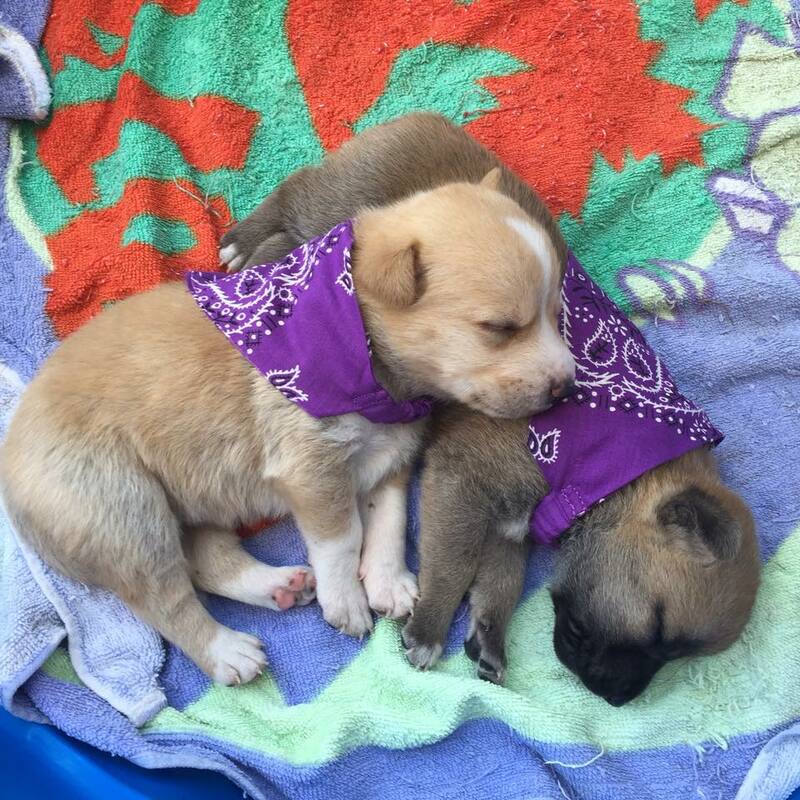 "We're the first hotel in the city to create a free on-site daycare for our male and female staff, to encourage even males to get involved with the work." I do a lot of work on sustainable agriculture, I've created our own aquaponics dome in the hotel. It's like a prototype that I hope to take to poverty pockets in Jordan - including refugee camps. "I do a lot of work on sustainable agriculture, I've created our own aquaponics dome in the hotel. It's like a prototype that I hope to take to poverty pockets in Jordan - including refugee camps," Nazzal says, adding that she also does work on economic empowerment for refugees through different partnerships such UNRWA. "So what I have done really is try and incorporate my core beliefs, my activism in social justice, legal activism, into the hotel." The entrepreneur has a bachelors degree in Political Science from Columbia University in New York, in addition to three others in Law. She is the co-founder and Chair of the Palestine Legal Aid Fund (PLAF), which is a non-profit organization designed to make strategic legal actions on the behalf of Palestinian victims of human rights. Nazzal was the only Jordanian to be selected as a Young Global Leader part of the World Economic forum. Afnan is an engineer who is passionate about entrepreneurship, technology, and education. With that, she founded Eureka, a scientific programme which is specialised in teaching children about innovation and engineering. Ali had a spectacular idea for Eureka and that was to teach children the basic concepts of engineering and invention so they can transform their own ideas into products and services that will help the economy and the region. Ali won first place for the research award at the Arab Robotics Competition, as well as several prizes in entrepreneurship and technology. She received some international training courses in the same fields in Luxembourg, Bahrain, and Sweden. The entrepreneur represented Jordan in several international conferences and programmes such as the fifth World Youth Congress–Turkey in 2010, "One Young World Summit" in Zürich in 2011, TechWomen in California in the same year, Arab Turkish Youth Summit, in Turkey, also in 2011, and finally She Program in Sweden the following year. Being a bookworm with a background in Computer Science, 34-year-old Eman Hylooz established Abjad, a social network that enjoys more than 150,000 registered readers, writers, and publishers. Hylooz had been working in software development prior to launching the first version of Abjjad in 2012, to help people find out and talk to other bibliophiles. The platform works in a way that readers scroll down their newsfeed like they scroll down their Facebook and Instagram feeds, where instead, they can follow readers and writers from all around the world and bring the Arab bookworm community closer. Hylooz is also working towards introducing audio and e-books to the Arab community. Abjjad currently has 360,000 unique visitors and 1 million page views each month. The platform works in a way that readers scroll down their newsfeed like they scroll down their Facebook and Instagram feeds, where instead, they can follow readers and writers from all around the world and bring the Arab bookworm community closer. 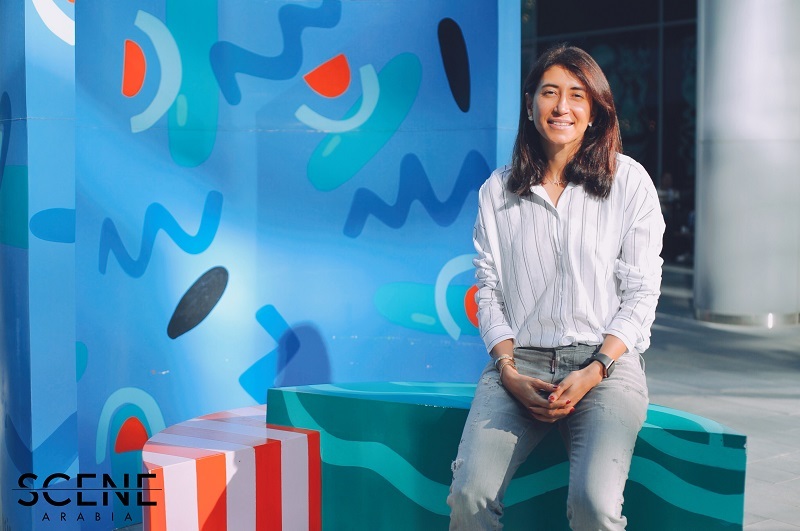 A winner of the Cartier Women’s Award and founder of Ekeif, Sima Najjar had an idea that turned into a successful company that produces videos to help the public. She explains that what inspired her to establish Ekeif was the lack of Arabic content that she faced; "Especially in simple how to's and educational content at that time." Ekeif was doing okay, but she stopped working on it last year and started another enterprise called Dezain Space. Now she has more than a million views per month. Najjar was already the CEO of a model agency in Jordan and had no prior experience to build an online company; however her first action was to undertake the help of an incubator, Oasis500. The incubator helped Najjar to develop her network and build the right team, even though she did no marketing and uploaded her videos one by one on YouTube. Now she has more than a million views per month. With over 400,000 followers on her Facebook page, Fida Taher founder of Atbaki, an online video recipe website that is taking Jordan and the Middle East by storm. Fida founded the award-winning Zaytouneh.com in 2011, before Atbaki in 2014, creating the largest digital recipe platform in Arabic, used by more than 2 million people. "Basically, what inspired me to establish Atbaki is that there was an obvious gap in the market that needed to be filled," Taher shares. 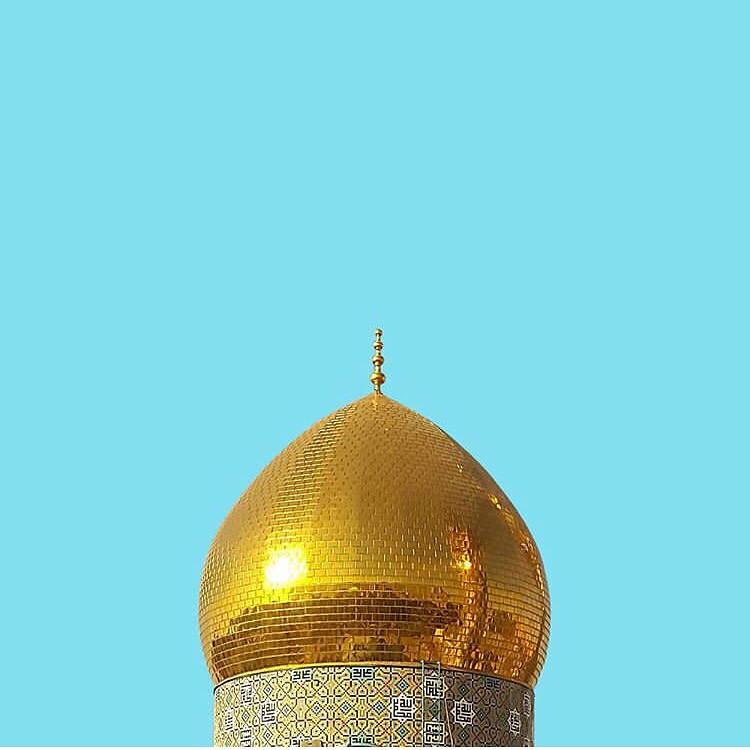 "I started Zaytouneh a few years before Atbaki and it was a great learning experience that allowed me to shape Atbaki in a better way." ...creating the largest digital recipe platform in Arabic, used by more than 2 million people. Prior to Atbaki Taher worked in different areas in the media domain for nine years, during that time she produced hundreds of hours’ worth of video content. She is on the acting board of directors of Nakhweh NGO and is a member of INTAJ-Jordan. Taher has a BA in Communication Arts, with emphasis on Radio, TV, and Film from the Lebanese American University. They defy odds and champion change. 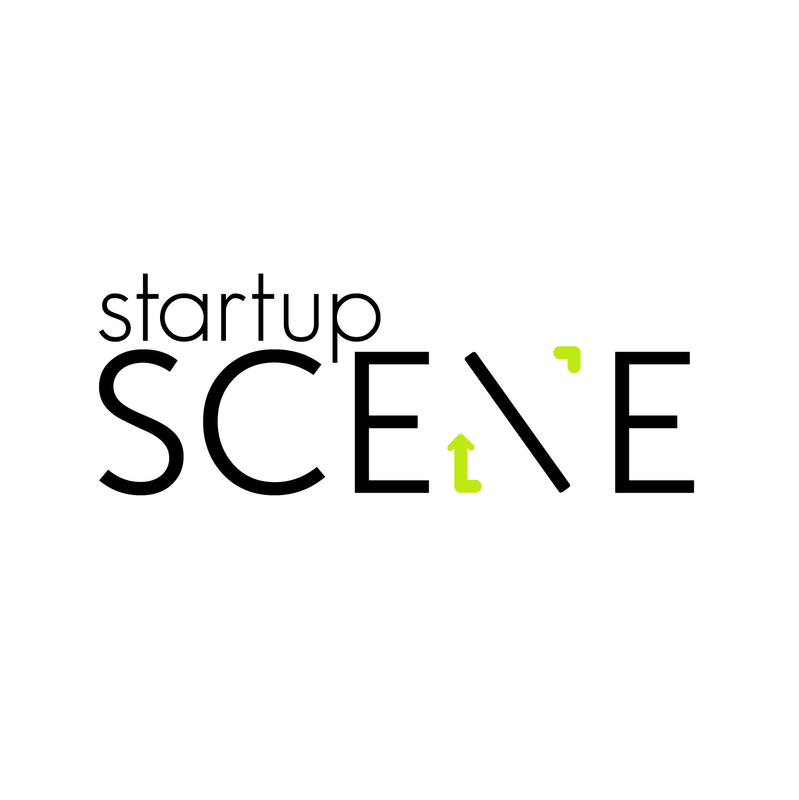 #StartupScene is the story of the Middle East's fiercest entrepreneurs.